Marriage is never easy. That’s something many people underestimate when they decide to get married. What most married people learn is that no marriage is easy, but when you’re with the right person it just feels that way. Getting married will be one of the best days of your life. It will be packed full of special moments and memories that will never fade. As we get older, those memories only get stronger, they stick with us more as time goes on. This was the case for Joe and Beverly Smith, who recently celebrated their 60th wedding anniversary. 60 years of marriage is really impressive, especially when you consider how quickly people get divorced these days. Joe and Beverly must be one loved up couple. 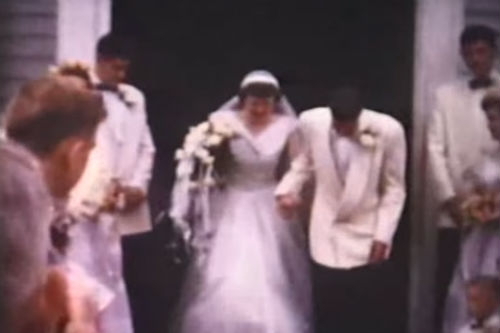 For their 60th anniversary, Joe and Beverly received the surprise of a lifetime. Their son, Joel, managed to get them a very special present that Joe and Beverly will treasure for the rest of their life. Joel decided to look to the past to try and find the perfect present for his parent’s 60th anniversary. 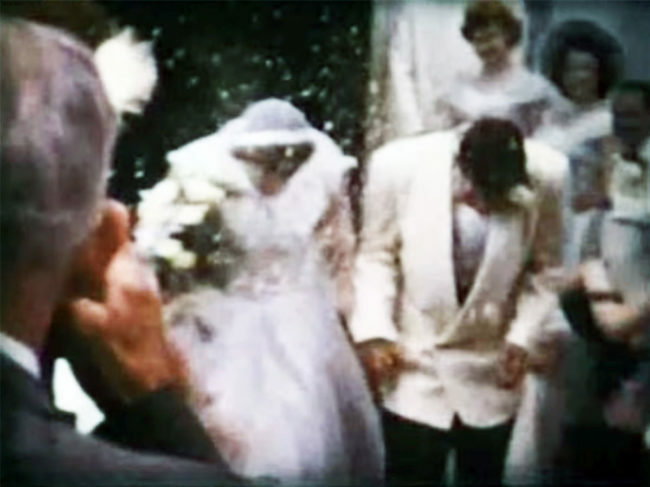 A family member had recently found some old footage from Joe and Beverly’s wedding day. After watching the footage, Joel immediately knew what he should do for his parent’s anniversary. 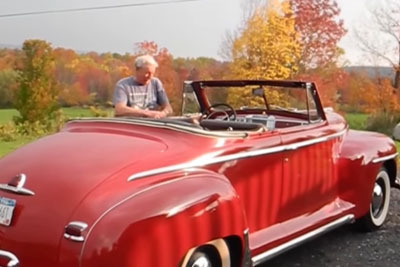 While watching the video Joel discovered that on his parent’s wedding day, they drove off in a 1948 Plymouth convertible. His parents had such fond memories of the car, but they had to sell it when Joe was drafted to serve in the Korean War. Joel’s surprise took some time and coordination to pull off, but you know the old saying. All good things to those who wait. Joel put in a lot of time and money to make his Mom and Dad’s 60th wedding anniversary extra special. His surprise involved a lot of sneaking around, as he wanted to completely surprise both of his parents. When the big day finally comes, Joel was excited to let his parents in on what he had been working on. 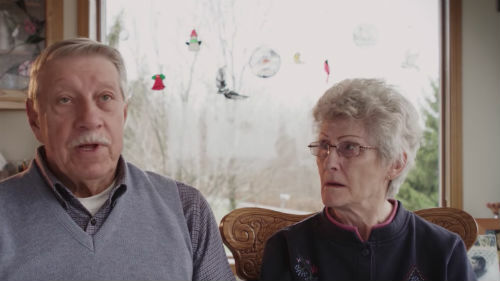 Joe and Beverly’s reaction to their son’s incredible and amazing gift is remarkable and truly heart warming! It will leave you in awe. You can watch the video below to see exactly what this kind-hearted son had done for his parent’s on their special day! What do you think about Joel’s amazing gift? Let us know what you think in the COMMENTS!